This retreat is designed for women to honour and reconnect with themselves, relax, strengthen and recharge. Healing comes when women are able to simply be together, share space + enjoy each others company. 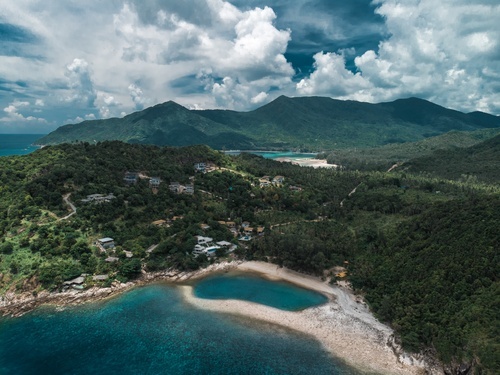 Set in the idillic island paradise of Koh Phangan Thailand, we will journey through the potent women's practices of Kundalini Yoga as taught by Yogi Bhajan. Kundalini Yoga is a powerful tool to sooth our nervous systems and harness our creative energy. Tea Meditation, daily journaling prompts, movement medicine + peaceful time relaxing will fortify the practices + allow space for deep personal work, reflection + integration. We will share beautiful organic meals together, live + breathe in harmony with nature and her elements, and enjoy the flow + grace of our Womanhood. Kundalini Yoga, Tea Meditation, Hatha Yoga, sacred dance, tarot, optional healing therapies + excursions will all accompany this incredible retreat.